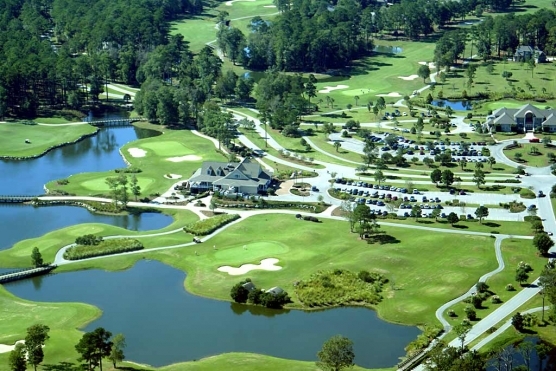 NORTH MYRTLE BEACH, SC – How many golfers visiting the Myrtle Beach area for the first time, raise their eyebrows when they see Possum Trot Golf Club as an option? With one hundred courses to choose, why risk a day of golf on a course named after a fast walking opossum? Get over the name my friends. This traditional design makes for a very good golfing experience. Possum Trot is part of the Glens Golf Group, along with Heather Glen, Glen Dornoch and Shaftesbury Glen. 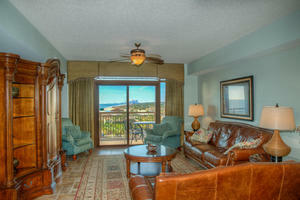 The same high standards found on these award winning venues are seen on Possum Trot. The course is always in very good condition. The day we played was gorgeous. The wide fairways were in great shape and the ball sat very nicely. The greens were fully recovered from winter’s challenges and putted true. The course itself is very interesting. The Par 5s are challenging and the only thing they have in common is a blind and in most cases an uphill tee shot. Only No. 10 provides a slightly downhill look. Although not particularly long, each of the Par 5s is a three shot hole for the average golfer. The Par 5 No. 18 is a great finishing hole. It can either ruin a good round, or keep you coming back. Your drive needs to find the fairway and your second shot needs to position you for an approach to the green. Water fronts the green and protects the right side of the fairway’s landing area. The green depth is 78 feet, but looks smaller with the clubhouse in the background. Personally, the Par 4s are my favorite holes on Possum Trot. Some are forgiving and designed for a good score, others are very challenging and make bogey look inviting. No. 7’s moniker is “Pesky” and it’s deserving. At only 360-yards from the Blue Tees a drive that finds the fairway leaves a doable approach shot. Be aware of the pin placement and know that just about everything slopes to the left on this green. No. 11 deserves its reputation as one of the hardest Par 4s at the beach. Uphill at 460-yards with a fairway trap on the left makes a solid drive essential. If you’re long enough and have a look at the green, there are two traps protecting both the right and left front. A lay-up intending to leave a 60-75 yard approach must find the fairway as water is on the left. The Par 3s have some length to them and are hardly a vacation. At 185 to 208 yards from the Blue Tees, you’ll find all you want regardless of the tee box you choose. No. 13 just might talk you into a bad club selection. Trust your yardage and make a good swing. They call this hole “Analysis is Paralysis” for a reason. The Par 72 Possum Trot Golf Club has some length. From the Blue Tees a challenging 6966 yards with a course/slope rating of 73.1/127. The White Tees play to 6343 yards and a 70.4/118 rating. The Gold Tees are 5505 yards and a 66.2/108 rating. The course is ladies friendly at 5153 yards long and a rating of 68.6/113. Regardless of your handicap and the tee box you play, there are no forced carries. When playing Possum Trot Golf Club take advantage of their practice area. There’s a full length driving range and a separate area for tuning your short game. The putting green is massive. Practice ball baskets are available at the range. If your game needs a little tune-up, The Glens Golf Academy at Possum Trot has an outstanding reputation among locals and visitors. You can go ahead and laugh at the name, but be careful this course may just laugh back at you. Enjoy this one; it will become one of your favorites.